Windmill Organics are celebrating their 40th birthday this year. We caught up with founder, Noel McDonald, to find out how the company has maintained a strong, organic, sustainable business model through financial crashes and changing consumer attitudes. Noel graduated from Galway University in the late 1960s. At the time there was big movement to connect with the land and nature, so he took himself off to west Ireland and joined a commune where they practised self-sufficiency. He realised that while he was having a positive impact on his diet, lifestyle and those around him, he wanted to do more. So, to reach more people, he moved to London to develop a business that would have a wider impact in the world. Driving down the Fulham Road, Noel saw a shop for rent and thought to himself “that’s my shop”. He rented it from the local council and Windmill Wholefoods was born. Noel created a wholefoods shop, using recycled wood, which he varnished to build a counter and shelving. With some sacks of beans, rice and lentils on the floor and a few items on the shelves, the shop opened its doors in 1978. The focus at the time was on wholefoods and as organic certification became more prevalent the business changed its name to Windmill Organics. They sourced organic supplies from wholesalers like Community Foods who were based in King’s Cross at the time. The business did well, and Noel was able to reinvest. He decided to create a restaurant. Digging out the earthen floor in a horse stable at the back of the shop, he put down a concrete floor and moved the shop to the back and opened the restaurant at the front. Again, everything was paired down and simple, with tables and a counter made from recycled wood. The restaurant opened in 1982 and in the first week, there were queues into the street. It was at this time that Noel met his now wife and partner Donata, who looks after the company’s sales and marketing. Donata’s influence on the business was immediate, bringing in alternative therapies and workshops, which were prevalent in Germany where she is from. They created a community area upstairs where they held yoga, Thai Chi classes and rented rooms to alternative therapy practitioners. Again, with the desire to reach a wider audience, in 1992 the Biona Organic brand was launched. Baking organic granolas in the restaurant kitchen – these were packed in the shop and labelled with the Biona branding. Soon they were supplied to wholesalers who delivered them to other wholefood shops around the UK. At the core of the Windmill Organic Business is the desire to have a positive impact on the world. There’s a parallel between the consumers who flocked to the shop and restaurant in the 1970s and 1980s, and those who want to buy ethically produced food now. In the 1980s, the BSE scare really focused people’s attention on how their food was being produced, how the food supply chain wasn’t transparent, and how this could encourage unethical practices. Noel is clear that people are tired of buying stuff for the sake of it and want a real connection with where their food comes from. The focus of the business is on the organic mission, the business has always performed well financially, and the profits are reinvested back into the organic world. The company’s ethos aligns well with consumer demand for ethically-produced organic products, and as a result their core brand, Biona Organic, has now grown to 350 products which are exported to 30 countries around the world. 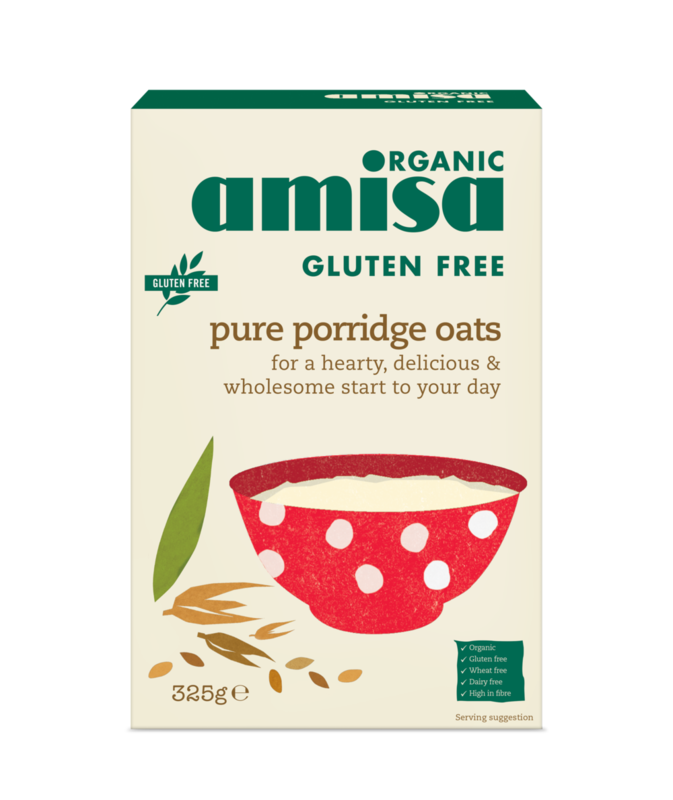 Getting more people to eat organic is the fundamental driver for the business, so with their free-from brand, Amisa, they wanted to make it easy for people on free-from diets to eat organic. With their Biofair brand, which is organic and fair-trade, the idea is to encourage people eating fair-trade to eat more organic and so on. Bonsan is the company’s new organic vegan brand, the name is short for Bonne Sante which is French for good-health. The brand range includes vegan products such as scrambled Kofu - which is tofu fermented in kombucha (so is easier to digest), chocolate spread, jelly sweets, salad dressings, mayonnaise and patés. The Bonsan brand with its strapline “Absolutely Vegan” makes life a little easier for vegans looking for high quality, nutritious food products and that only contain certified organic ingredients. The company’s new online shop has just gone live at www.biona.co.uk. We’re looking forward to seeing what the next chapter will be for this inspiring, innovative, family run business.